2. In parallel, Iran is refusing to give up its lofty nuclear ambitions which not only threaten Israel but are particularly threatening to the Gulf Co-operation Council (GCC) kingdoms. Saudi is carrying out aggressive actions to lower oil prices by not only pumping some 10 million barrels a day but also leveraging its extensive energy trading networks. All this might seem counter-productive given Riyadh's economic stake in the oil game and keeping the oil prices high. However, the Saudi rationale is clear, and entirely consistent with the kingdom's traditional long game. The Saudis think that lower oil prices will produce a more reasonable attitude from both Russia and Iran in order to bargain with them. In addition, Saudi is terrified of a current US boom in shale oil and natural gas. It is hoping that lower oil prices will disincentivise further costly drilling efforts in North Dakota's Bakken Shale, which deploys controversial fracking technology, and Canada's oil sands in Alberta. Let us not forget that the incumbent president in the US will also benefit tremendously in the upcoming November elections if the price of gasoline falls dramatically. Although the US presidential elections are likely to be fought on the primary issue of jobs, if the American people feel that their day-to-day cash flow has improved because they are spending less on fuel and food, this would enhance the chances of the incumbent dramatically. Food prices are also likely to fall because they are highly correlated with the price of fuel: given the costs of fuel-intensive land preparation, plantation, irrigation, fertilizers, mechanised harvesting, processing, packaging, animal husbandry, refrigeration and distribution. Given the long game that the Saudis are now playing, there is a rising likelihood that oil prices could undergo a severe oil price correction. Energy markets are historically mercurial: they overshoot when one is trying only to fine-tune them, as the Saudis and other members of OPEC have discovered over and over and again. 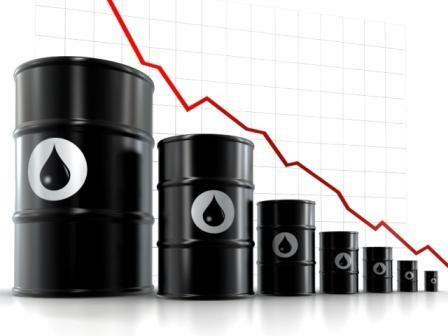 Let us not be surprised if oil goes to $40-a-barrel by this autumn. To the degree that such fire-sale prices are long-lived, they could have many unintended consequences. Chief amongst them is the likelihood of causing mayhem amongst petrocracies. Yet the Saudis in association with the rest of the GCC are willing to suffer the consequences, knowing that their joint financial reserves -- in trillions of dollars -- are sufficient to close the gap of any potential deficit to the detriment of both Iran and Russia. In parallel, there is a perfect storm brewing which is likely to cause a massive correction in oil prices anyway, regardless of Saudi's extra efforts. Why is the price of oil going to correct further given that it has already fallen by more than 25% from its recent peak and now stands at around $80 per barrel? 3. The decline in US oil consumption with a simultaneous rise in domestic natural gas and oil production and supply means the high price of oil is no longer sustainable. I. What happens if the oil price drops by another $20 to $40 a barrel for an extended length of time and oil trades in the range of $40 to $60 by this autumn? II. What about the world's petro-rulers, who are watching the price of oil plunge at a rate they have not experienced since 2008 when world growth and trade fell considerably in the aftermath of the Lehman Brothers' crisis? III. If the oil price continues to fall, could there be a fresh round of Arab Spring unrest or will the falling price of food, in tandem with fuel, mitigate the chances of insurrection? IV. Could there be unpalatable nightmare scenarios unfolding for those who run petrocracies in the Arab world, Iran, Russia and perhaps Venezuela as budget deficits increase and extensive social welfare programmes are cut? V.	What happens to the viability of the green industry including bio-fuels and alternative power solutions such as solar, wind and tidal power given that they are mostly in-profit above $75-a-barrel of oil?